Firm, strong bond with excellent heat-resistance. 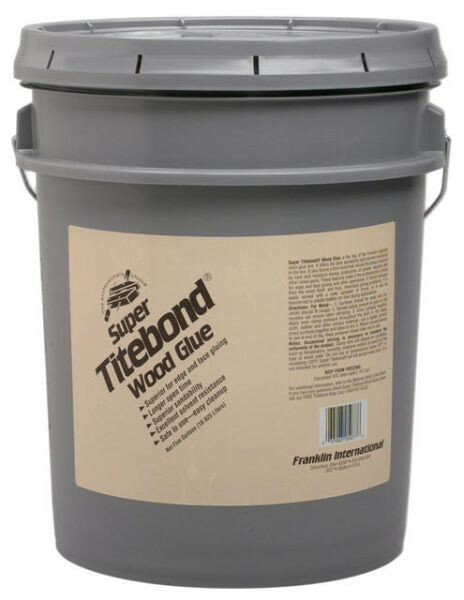 Super Titebond Wood Glue is a high-quality, professional woodworking glue that offers superior sandability and solvent-resistance. It develops a bond stronger than wood and provides a longer working time than traditional aliphatic resin glues. Super Titebond resists stress imposed by heat and moisture during the production of panels, squares, and other wood parts. This makes it the ideal choice for edge and face gluing as well as other woodworking operations. 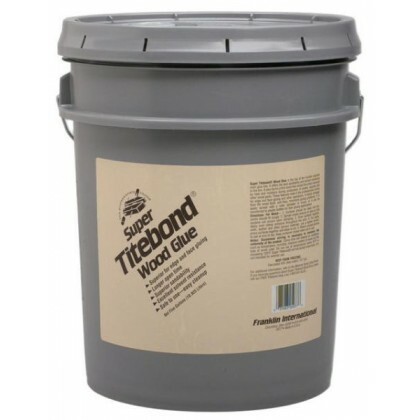 Super Titebond Wood Glue is not intended for exterior use or where moisture is likely. 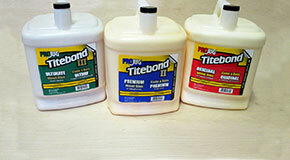 For exterior applications, use Titebond III Ultimate Wood Glue or Titebond II Premium Wood Glue. Freezing may not affect the function of the product but may cause it to thicken. Agitation should restore product to original form. Do not store Super Titebond Wood Glue at temperatures lower than 40°F for extended periods of time. Read MSDS before use. Keep from freezing. Keep out of reach of children.